Once signed up the first thing to do is to complete the setup of your Company under Administration – Company Details. This is where you can upload your company logo, terms and conditions branding for your online enquiries and customer portal as well as entering any registration numbers (such as ABN, EC, PL, GF or Builders Registrations). All of this just has to be entered once and will automatically flow through to the rest of Ascora. Did you know that your 14-Day trial is not limited in any way? That’s right – you can fully check out every feature of Ascora and see how it can take your business to the next level. Also don’t forget to download the Ascora Mobile Apps! We have tailored apps for each platform available for download from the Apple App Store or Google Play Store (you can login with your email and pin code). Take the apps for a spin putting through a trial job or quote and see how the process feels for you. You can import your list of common items purchased from your Suppliers. Most will be able to give you a copy of your “Hot Items” or top 100/200 items that you can bring across into Ascora. Under the Supplies area there’s an Excel template you can download – simply open the template and copy and paste in the data then you’ll be able to upload the whole lot into Ascora. From the Apps and Web you’ll be able to select the items to be used on your Quote or Job. You can also create Kits / Pre-Builds to save time for the common works you may do. 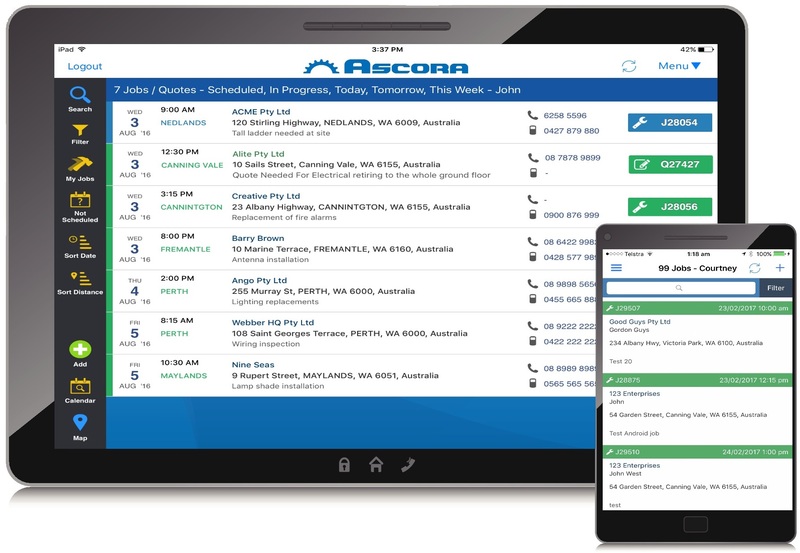 With true pricing in Ascora, you’ll get your job profitability at your fingertips at every step through the Job. Don’t forget we’re always here at Ascora HQ ready to give you a hand. Getting up and running with new Job Management Software can take a bit of work at the start, however it’ll definitely pay off once you’re up and running and able to reclaim your nights or weekends or just have a clearer idea of where your business is heading. At Ascora we understand that support for your business is critical – after all you’ll need to rely on us. Drop us an email, live chat or give us a call anytime! We aim to provide “old fashioned” awesome support – give us a try and see what you think! We hope these tips help you get the most out of your 14-day free trial. Check out some of our videos in Facebook or contact our friendly support team at any time if you need a hand.